Cigarheroes is a project created by my son Max and me. It was his first effort at making a website, and I think it turned out well. We wrote stories about beloved but not necessarily famous cigar smokers and posted them. The idea was to encourage others to contribute. However, 16,275 clicks later, no one has. Perhaps we should expand it beyond stories to other favorite cigar moments— in film, on TV, etc. My personal favorite is the scene in Papillion where Steve McQueen smokes the cigar that the leper king takes out of his own mouth. McQueen thus proves to what extreme he is willing to go to gain his freedom. What about yours? Submit your ideas through cigarheroes.org…. 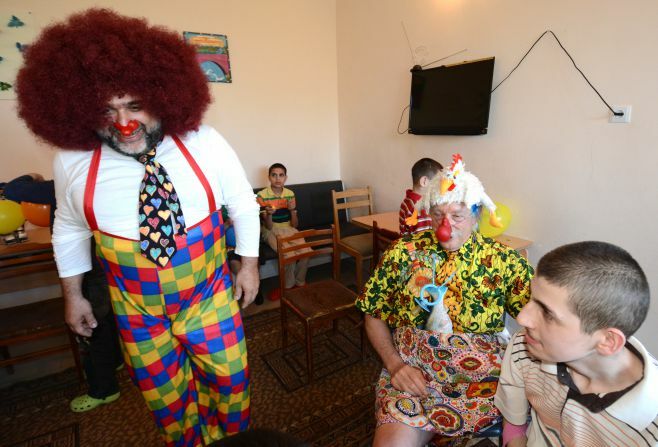 YEREVAN — One Russian philanthropist has just completed the trial run of a unique investment vehicle: a bus filled with clowns. Click here to read the full article...part of an upcoming project!